The UK’s coast may be useful as a huge battery of renewable energy, new research suggests. 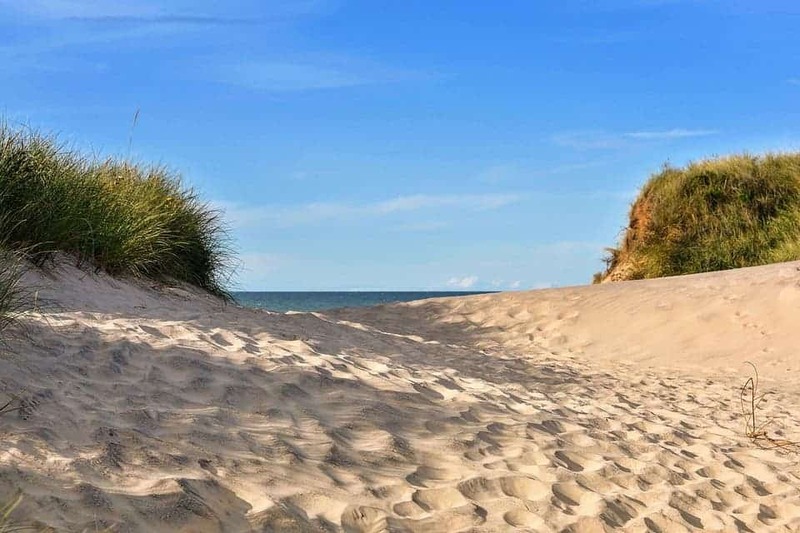 A beach on the North Sea, Denmark. Rocks off the UK’s coast could be used as long-term storage for renewable energy, according to earth scientists from the Universities of Edinburgh and Strathclyde. 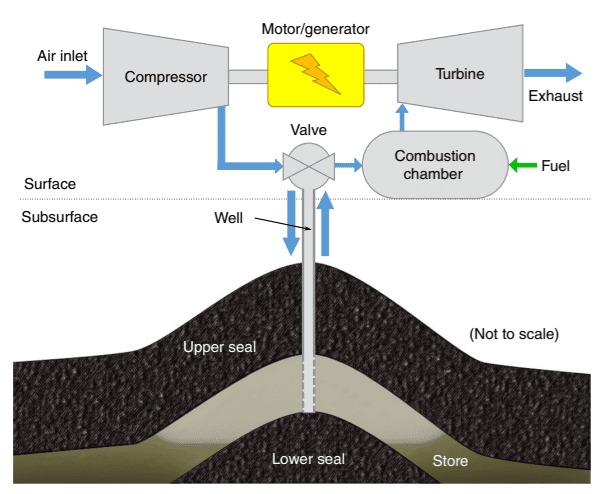 The energy storage method involves pumping compressed air into local, porous sandstone formations, which can later be released to generate large quantities of electricity. Using such a technique on a large scale could store enough compressed air to cover the UK’s winter energy needs — when demand is highest — the authors explain. “This method could make it possible to store renewable energy produced in the summer for those chilly winter nights,” says lead author Dr. Julien Mouli-Castillo of the University of Edinburgh’s School of GeoSciences. The main drawback of renewable energy such as wind or solar is that it isn’t very reliable. Sometimes they produce a lot of energy, sometimes they don’t produce any. This variation in output is highly dependent on weather conditions, which tend to vary by season. That’s why renewable energy is best paired with storage systems such as batteries, for example, so that any surplus can be stored and released as needed. Engineers and geoscientists from the Universities of Edinburgh and Strathclyde used mathematical models to assess the potential of compressed air energy storage (CAES) processes in the UK. Such systems are is already in use in certain sites in Germany and the US. CAES involves using an electric motor to compress air and pump it at high pressure into porous geological layers when energy is plentiful. When supply can’t keep up with demand, this air is released to power turbines that generate electricity and feed it into the grid. In essence, CAES-type systems act as a compressed-air electrical battery. A conventional CAES-type installation. The one proposed in this paper does away with the ‘fuel’ and ‘combustion’ bits, essentially turning it into a renewable-energy battery. Image credits Julien Mouli-Castillo et al., (2019), Nature Energy. The team predicted the UK’s storage capacity by combining the results of their modeling with a database of geological formations in the North Sea. Porous rocks beneath UK waters (in the North Sea) could store about one and a half times (160%) the UK’s typical electricity demand for January and February (77–96 TWh), they found. Setting up a CAES system for the UK would be quite expensive and laborious, the team notes, since the infrastructure needs to be built from the ground-up — we’d need to drill injection wells and lay down long stretches of undersea cables, for example. But measures can be taken to reduce costs and labor associated with its installment. For example, locating injection wells close to sources of renewable energy, or installing new ones close to areas where drilling is planned. Such measures would also make the system as a whole more efficient, they add. Roundtrip energy efficiency (the ratio between energy input and energy retrieval in a storage system) predictions based on the UK’s current grid and generation area layout would be around 54–59%, with a potential storage cost in the range US$0.42–4.71 per kWh−1. The paper “Inter-seasonal compressed-air energy storage using saline aquifers” has been published in the journal Nature Energy.